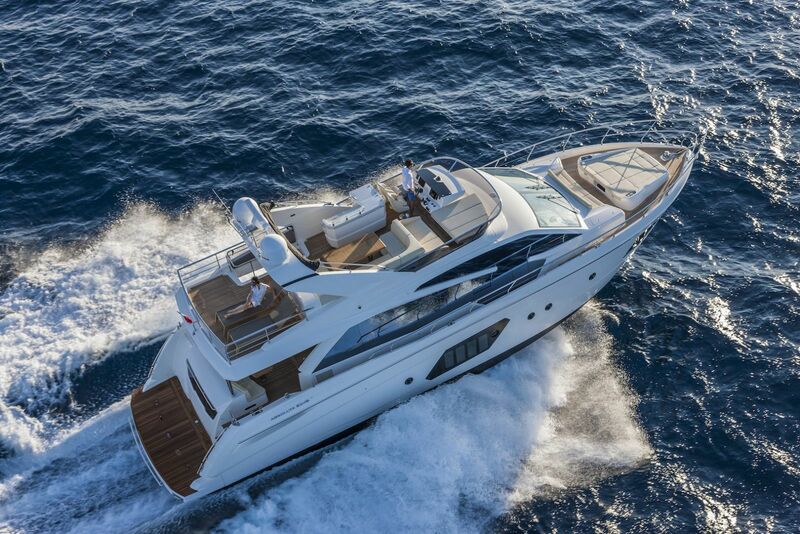 SI Yachts is the exclusive representative for Absolute Yachts in the Northeast. From the Absolute sport yacht to the Navetta model line, the design and layout of each boat is masterfully executed resulting in one of the most desirably yachts on the market today. Italy is known for its beauty, its food, and for its fine luxury cars. Italy is also known, however, for producing some of the most creative designers in the yachting industry today. The founders of Absolute Yachts, Marcello Bè and Sergio Maggi, are the epitome of what it means to be am Italian yacht designer and have excelled at pushing the envelope in producing fine Italian Yachts. 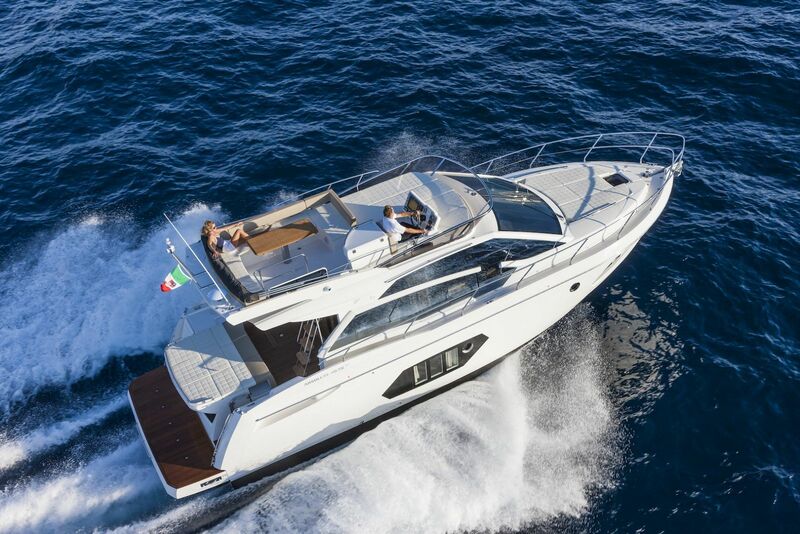 Known as being pioneers in modern day boat building, Marcello Bè and Sergio Maggi have grown Absolute under the Gobbi brand into what is considered one of the top luxury sport yacht and motor yacht manufacturers today. The company’s brand statement includes 7 key values that are intertwined with each yacht: “Quality, Experience With Innovation, Beauty, Safety, Respect for the Environment, Efficiency, and Solidity." The company’s brand statement is “Reaching For The Absolute”, which refers to the thousands of hours in design, production, and quality control that go into building an Absolute Yacht, is a credo by which those that strive for perfection live by. Never settle for what is, but rather continue growing until the absolute goal is reached. It is with this in mind that Absolute created one of the most state-of-art shipyards in the world that boasts a cutting-edge technology in 3D modeling systems. Even when working with other partners, Absolute excels in creating new ways to adapt existing technology such as being one of the first to implement the Volvo IPS propulsion system that guarantees the best in efficiency and performance. In addition, Absolute’s designers worked tirelessly to design each yacht with service in mind. All components on board are easily accessible and can be worked on or removed without compromising the structural integrity of the hull. 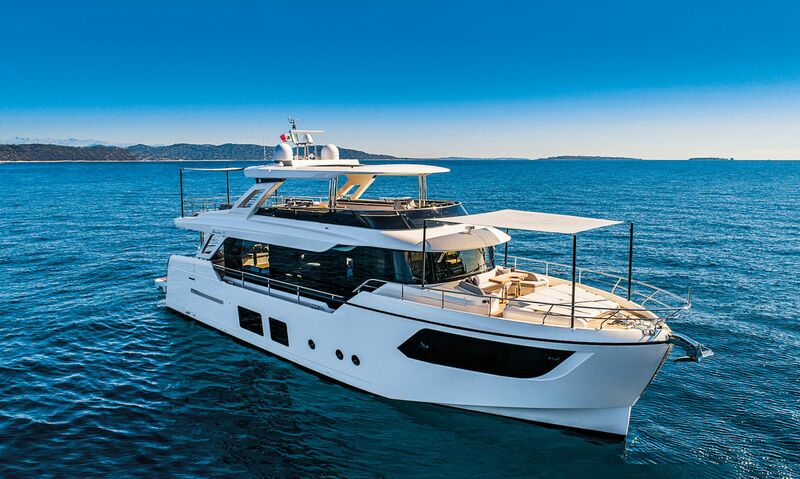 Absolute has grown its fleet into four models ranges: Navetta, Flybridge Yachts, Sport Yachts, and Sport boats. Staten Island Yacht Sales is uniquely positioned in the Northeast to be able to handle the entire process with each customer from build to sea and will be there with a top service department and marina every step of the way. Absolute Yachts Sales Director, Cesare Mastroianni says, “We selected Staten Island Yacht Sales because of their 53 years of success and experience in a highly-competitive industry and for their commitment to provide consistently high levels of customer satisfaction. We are committed to putting our best energies and effort into this exciting new relationship with SI Yachts. They are a quality team perfectly matched and equipped to sell and service our yachts. It goes without saying; we look forward to this exciting expansion of our dealer network in the Northeast Americas”. The Navetta series is the most well-known model range of the Absolute Yachts family, with the 73 being the company’s flagship model. 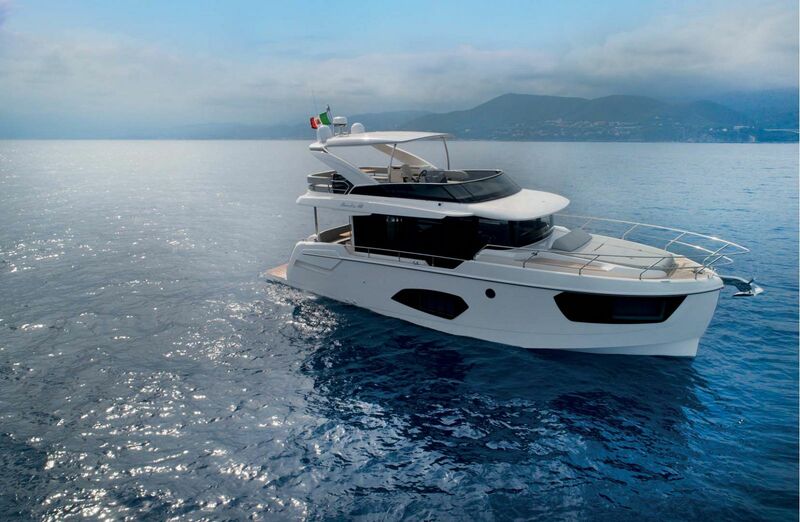 Known for being seaworthy and able to accommodate living on the boat for extended trips, the Absolute Navetta is the perfect vessel for your life’s journeys. 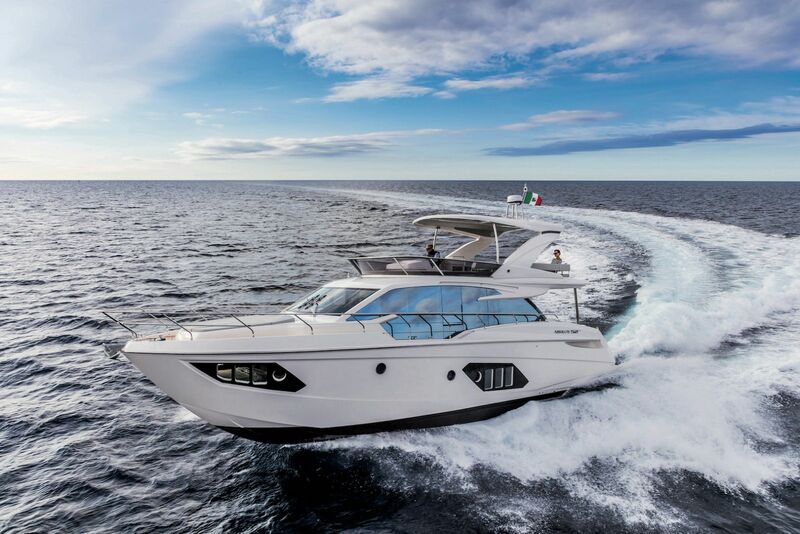 And with Volvo Penta IPS engines powering her, any member of the Navetta fleet shows amazing efficiency and performance numbers while cruising quietly and with no vibrations. There are currently three models in the Absolute Navetta model series including the 48, 52, the 58, and the aforementioned 73. The largest of all of the Absolute Yachts model series is the Flybridge range with includes nine different sizes from 40-feet to 72-feet. This dedication to their range of flybridge yachts shows how serious the team at Absolute is about enjoyment on the water. A flybridge on a yacht is a gathering place for everyone on board. It’s the home of laughs, conversations, and life’s unforgettable memories. Absolute knows the value of a well-thought out flybridge which is why the design influences this lifestyle through comfort and high optimization of space. 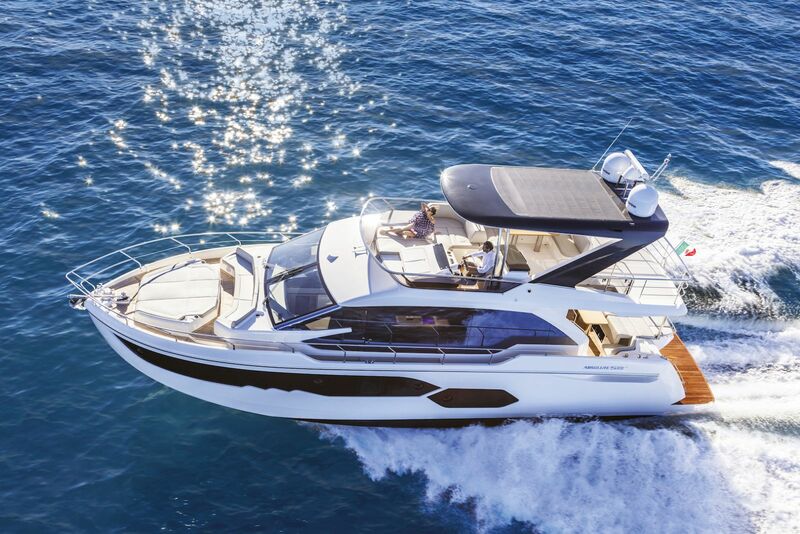 The flagship model of the Absolute Flybridge model range is the stunning 72. For the yacht owner wanting more performance and control, yet without compromising the need for a luxurious entertainment space, Absolute has developed a sport yacht line that achieves perfection. With lots of natural light from the massive windows or the retractable sunroof, the salon of any of the Absolute sport yachts gives you the feeling of being in the outdoors within the comforts of the luxurious interior. Absolute Yachts has developed three models in the Sport Yacht range including the 40STY, 45STY, and 56STY. 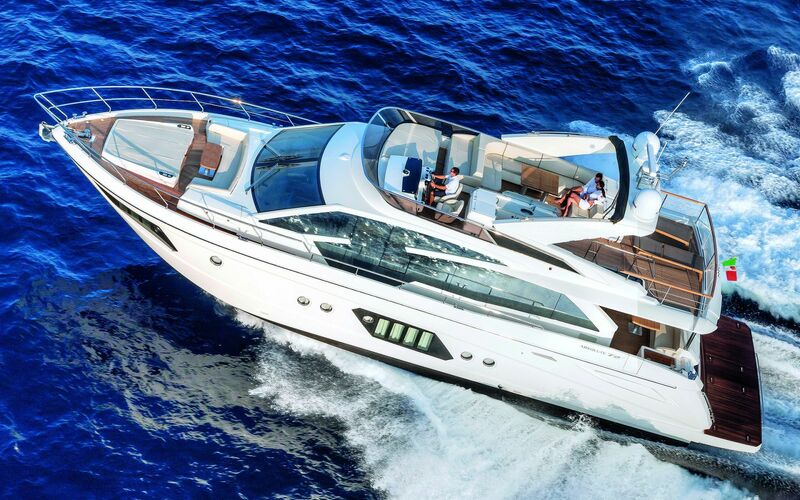 As the Northeast’s premier dealer for new Absolute Yachts, Staten Island Yacht Sales has the experienced team to successfully guide you to the perfect Absolute model to fit your boating needs. For the day boat enthusiast or the large motor yacht owner that wants a comfortable tender, Absolute created a Sports Line that currently consists of one model – the Absolute 40STL. Perfect for diving trips or a short overnight adventure, the 40STL has a lot of amenities carefully designed into 40-feet. The U-shaped sofa near the stern provides seating for 6 people and includes a dining table for the impromptu dinner at sea.